Attend the Tiny House Jamboree to keep up to date on tiny house and accessory dwelling issues. Win tickets to attend! Industry Days at this popular annual event offers code officials and other building pros and easy and fun way to stay educated on the the growing market of tiny dwellings. Green Builder Media is offering two free tickets–enter by August 17 to win! 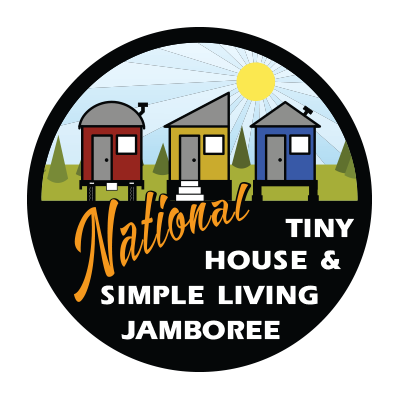 The Tiny House & Simple Living Jamboree is the destination for enthusiasts, lifestyle advocates, building industry pros and those interested in the simple lifestyle. The event, which will be held in Austin this year, highlights one-of-a-kind tiny houses and small living structures. “Industry Days” at the Jamboree has a business-to-business focus and is open to all builders, developers, product/service providers, government officials, building code officials, retailers and real estate professionals. This portion of the event will include seminars on the most relevant topics impacting the industry today, networking with the world’s leading professionals in this market segment, and a half-day trade show open exclusively to trade professionals to facilitate real business. Green Builder Media is offering two free tickets to this portion of the Jamboree. Enter here for your chance to win! Come hear Matt Power, Green Builder Media’s Editor in Chief, who is a featured speaker at the event. He will present on how tiny house builders can harness innovative materials and technology to create lighter tiny homes suitable for both permanent foundations and RV (THOW) classification. Trends among younger buyers, extreme weather threats and other issues have intensified the need for a new, hybrid classification for Tiny Homes, and Power will offer ideas to get it done. Experience the world’s largest variety of tiny living related products and services. Attend insightful education sessions on topics such as marketing tiny structures, building certification, and the legislation concerning tiny living from county, city, and state government officials. Network with other developers and owners with an interest in adding tiny living structures to their portfolios and learn the dos and don’ts from those currently utilizing tiny structures. Learn how to incorporate tiny houses and small living structures into your business plan to solve your attainable, alternative, seasonal, and staff housing needs. Green Builder Media will release The Tiny House Tactical Guide, First Edition at the Jamboree. The book offers both rudimentary and advanced ideas about how to move the tiny house movement forward. Addressing building codes and zoning issues, along with improvements in sustainability through better building science, it encourages buyers and builders to experiment with lighter, more innovative materials, to improve both the resilience and mobility of Tiny Homes. The digital book will be circulated both online at www.greenbuildermedia.com, and among the attendees of the upcoming Tiny House Jamboree. The Tiny House Tactical Guide will also appear in its entirety in the Nov/Dec 2018 issue of Green Builder Magazine as a special focus. Photo: The Align Project. Click here to learn more about this show small-footprint show home.